Traveling with "a broad plate of metal" (a 'girdle' or griddle) "under the Haps [cover, wrap] of his saddle," the fourteenth century Scottish soldier could make thin oat cakes from water and oatmeal over a fire. This would warm and strengthen their stomachs after eating too-freshly butchered cattle, which was scavenged. 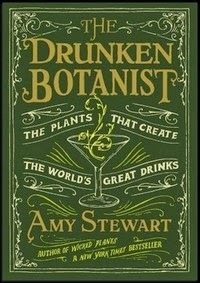 This entertaining and well researched book details how all alcoholic beverages are composed of plants. Actually, it is the focus on each plant and how it is made into different drinks, instead of the usual writings on the composition of beer, wine, etc., which makes this an interesting read. Beer is generally barley, wheat, and flavored with hops. But going from plant to drink - barley is also for whiskey; wheat is in vodka, whiskey and Maker’s Mark bourbon. New residents in some parts of England held a dinner in front of their home on Midsummer Eve to meet their neighbors. This custom was still observed in the Georgian and Regency periods as described in an 1814 book. 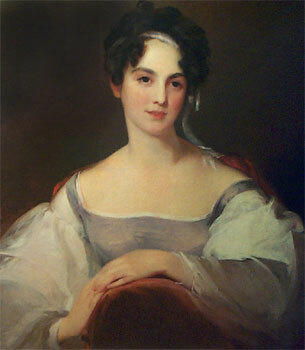 The wealthy and socially prominent Jane Gilmor Howard, as Mrs. B. C. Howard, wrote the immensely popular 1873 fundraising cookbook. One of the recipes, “Belvidere Rice Pudding” was named for Belvidere, the large 18th century 'seat’ of the Howards, where she lived.